This is indeed strange. 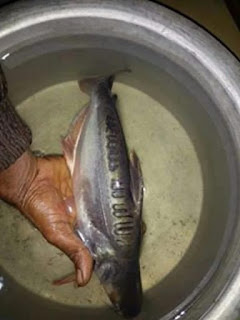 Recently, amongst the fishes caught by a fisherman , one particular fish have an Arabic writing with an Islamic meaning. 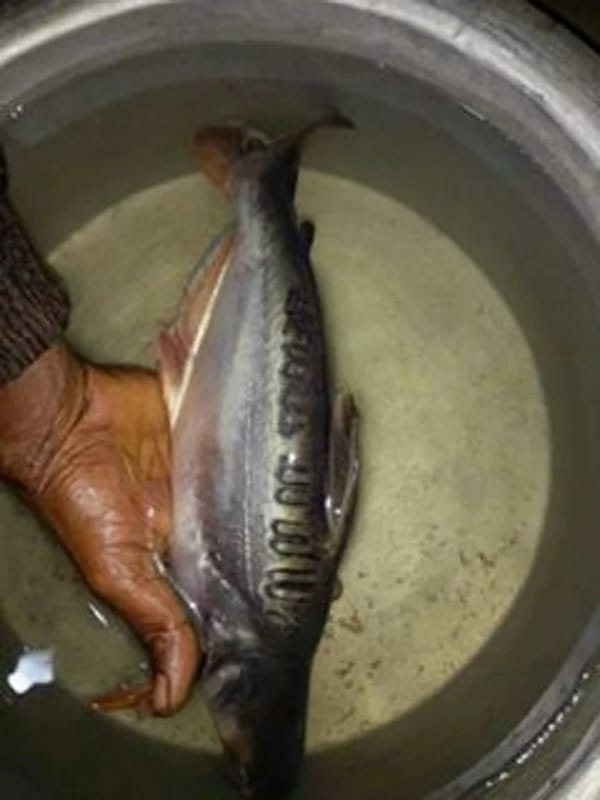 This inscription on the Body of the fish is boldly, neatly and beautifully written in Arabic and which means "There is nothing deserved to be worshiped except Allah"